On the right hand side as you walk up Lower Street in Stroud, there is very solid double-fronted house. 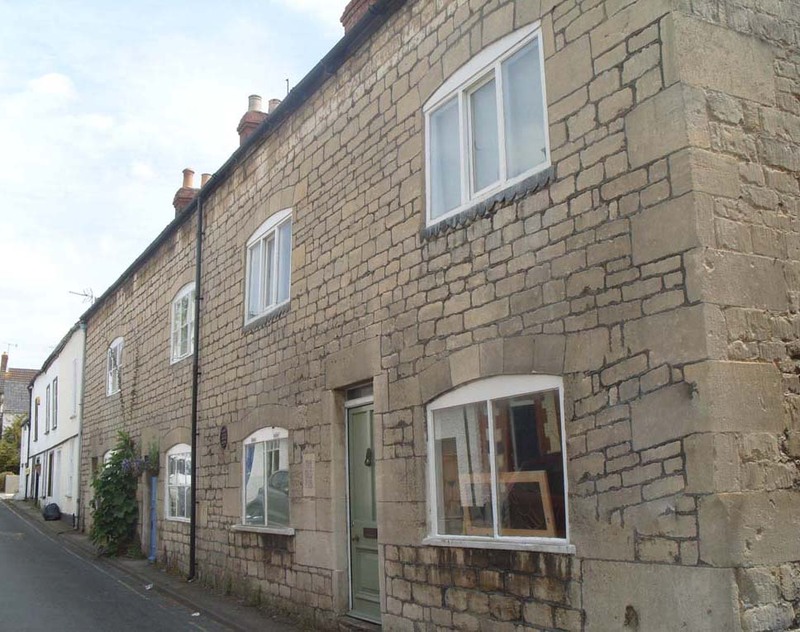 Its ashlar frontage and windows are typical of Cotswold houses built in the early 1800s. It adjoins a similar building next door which is divided into two houses – but what might draw particular attention to the larger lower house is a stone plaque to the left of the front door inscribed with the words THE OLD PUB. So how old is “OLD” – and what is its early history? But was it known as The New Inn as early as the 1820s? With Stroud’s water supply unfit to drink, it is not surprising that by 1830 the town boasted not only its own brewery, but a great number of named pubs, more than half-a-dozen maltsters and numerous beer retailers. However, there is no reference on early trade directories or census records to a New Inn in Lower Street. What does seem likely is that ale was sold there – but that it was a fairly small scale business – possibly run by a wife while her husband got on with his trade. A second source of income – however small – would have provided welcome additional financial security for working families looking to make ends meet. 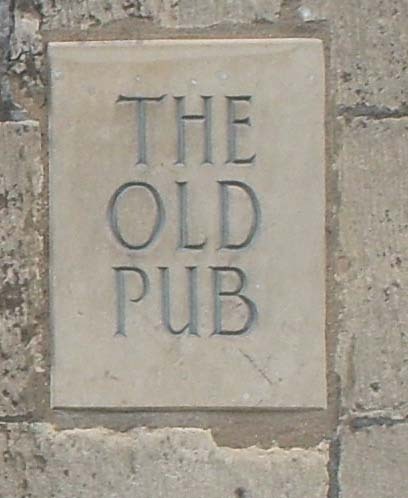 So rather than a full-blown inn, the building now named The Old Pub could originally have been a house where a glass or two of ale could be enjoyed. 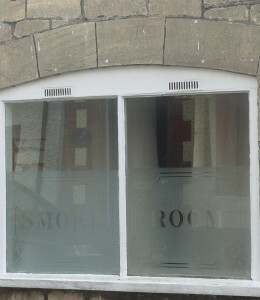 The window to the left of the door is still engraved with the words SMOKE ROOM and the bar inside would only have had enough space to seat about two people. 1824 The later deed records that William HODGES willed 3 houses including the New Inn which he built replacing 2 old messuages. 1853 John GAY of Stroud chemist was trustee of the sale. I have a copy of William HODGES Will – and that part is clear. The Will does not name the property as The New Inn. But, I have two problems with ‘the later deed’. Firstly, I have followed up the only two deeds I can find listed in Gloucester Archives on-line catalogue which are dated 1853 and linked to deeds of sale in Stroud – and neither of them mention a John GAY as trustee of sale or make reference to what had been William HODGES house in Lower Street. Secondly – whilst I know there was a George GAY, chemist (incidentally nothing to do with the main GAY family of Stroud) who had a business in the High Street – I know of no John GAY at that time who was a chemist. Nor is one to be found on any census record or trade directory. It’s difficult to identify on early censuses exactly who was living at the property in Lower Street, which later became known as The New Inn. The earliest mention of it by that name is in 1861 – when it was occupied by a Thomas HALLEWELL (paper hanger) and his wife Louisa, Inn Keeper. This seems to bear out the idea that selling ale may originally been a secondary source of income. [To confuse matters, in 1861 in Lower Street there is also a property listed as The Old Inn]. The 1820 Directory of Stroud, whilst it names several ‘victuallers’ and their inns, lists no official victualler or inn in Lower Street. In Pigot’s Directory 1822 they are called ‘Tavern Keepers’ – but again none is listed in Lower Street. It is not until Robson’s 1839 Directory that there is mention of any ale being sold in Lower Street – and by then there are three beer retailers listed: Thomas Chandler (+ shopkeeper), John Rose and Samuel Smith. The 1841 census however gives no hint that any of them sold ale. Thomas Chandler (40) is listed as a gardener, John Rose (40) as a journeyman plasterer and Samuel Smith (60) as a shoemaker. Nor is it possible to work out exactly where each of them lived in Lower Street. The enumerator recorded the start of his route as comprising the south side of Castle Street and Lower Street – up towards Whitehall – but the houses are neither named nor numbered. John Rose is listed in the 4th household, Samuel Smith in the 10th household – with Thomas Chandler 4 houses up from Samuel Smith. By 1851, when the route took in both sides of Lower Street, both John Rose (schedule no. 2) and Samuel Smith (schedule no. 10) look to be living at roughly the same locations in Lower Street – John Rose is now a fully fledged plasterer and Samuel Smith is listed as a beer seller as well as a shoemaker. But now there is also a Thomas Hallewell (various spellings), paper hanger and beer retailer, living with his wife at schedule no. 53 Lower Street. It is always a welcome relief when a census enumerator records more than the required minimum of information – and at last, in 1861, there is mention by name of both a New Inn and an Old Inn in Lower Street. The route taken this time was from Piccadilly and Trinity Church, coming down Lower Street, with the top house being schedule no. 104 and the last house in Lower Street being schedule no. 175. 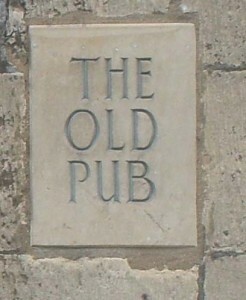 The Old Inn, run by Samuel Smith, beer retailer, and his wife Esther, was listed as schedule no. 123; the occupants of The New Inn, schedule no. 143, were Thomas Hallewell, paper hanger, and his wife Louisa, Inn Keeper. So here there is definite evidence that it was often the wife who sold the ale, whilst her husband worked at his trade. 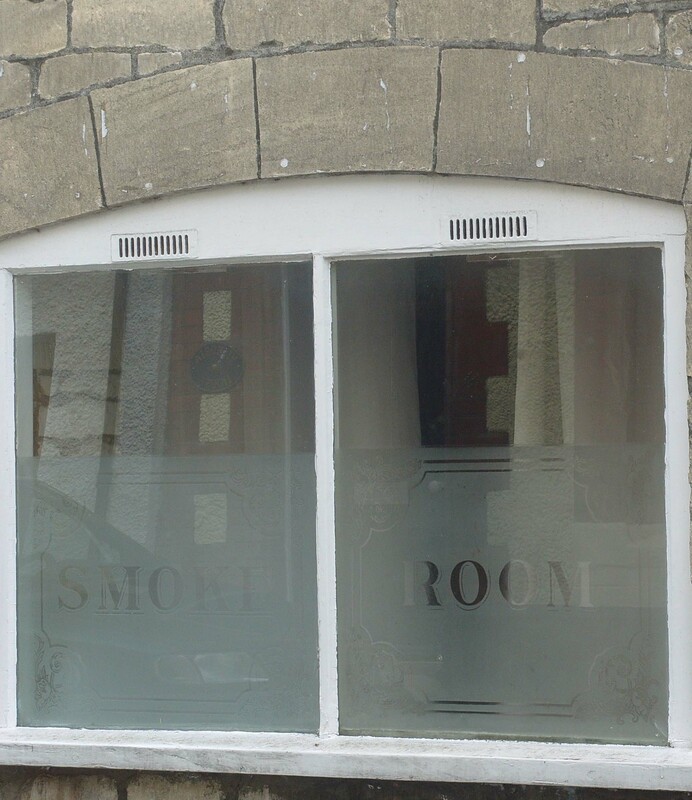 However, if Samuel Smith lived at the Old Inn – and John Rose clearly lived near the bottom of Lower Street – it is difficult to identify who might have been selling beer at the location of the New Inn before 1861. Nor is it clear at what stage it became officially known as The New Inn. Thomas Hallewell died in 1868, aged 59, and in 1871 the property (named in 1861 as the New Inn) was occupied by George Freebury – Innkeeper – though unfortunately, as in the pre -1861 census lists, the enumerator failed to record the name of the inn. In fact, in all the census records and Trade Directories, it is only in 1861 that the name New Inn is recorded – though on Trade Directories from 1897 onwards the same site has been more specifically identified as number 50 Lower Street. It must have been around this time that The New Inn – then listed as 40 Lower Street – became a tied house of Stroud Breweries. On the old www.easywell.co.uk website it was listed as such in 1891 and 1903. George POWELL is listed as landlord until 1906 [Kelly’s Directory) – by which time the address seems to have changed to 50 Lower Street. I’m not sure when it passed into private ownership – possibly when Stroud Breweries merged with Cheltenham Breweries in 1958? Stroud Local History Society has a copy of Penny Gay’s limited edition book, which gives her account of her ggg grandfather’s (John Gay, maltster’s) life in Stroud (1792 – 1829). It includes quite a bit about what was going on in Stroud in the years 1800 – 1850 – and there is a chapter about the process of malt-making – and also one about the turnpike roads and work of a toll-keeper – all of which might contain something of more general interest.